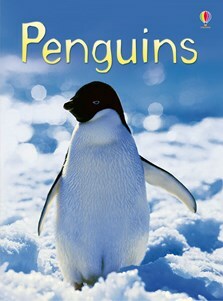 Spot lots of different kinds of penguins walk, waddle and swim. Watch an Emperor penguin chick takes its first steps onto the ice. See rockhopper penguins climb steep cliffs. Meet a penguin scientist and see how he attaches a radio tag to a penguin. See a penguin robot used by scientists film baby Emperor penguins hatching from their shells. Colour in a baby penguin.